Workbusters offer specific end of tenancy cleaning in and around London, so if you’re a Landlord who owns a rental property or student accommodation, we can help you transform a tired and dirty flat / house into a clean new home for new tenants. 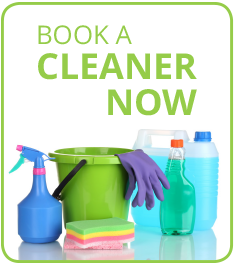 With over 25 years’ experience in commercial and domestic cleaning, we are the perfect choice of cleaner for your end of tenancy clean. Our teams are highly skilled, professionally trained and excel in getting your property spotless. If you have had messy tenants, who have been careless with your property, don’t waste precious time trying to get your house or flat back in order again, leave it to Workbusters. You can arrange a day of the week and time of day that suits you, and our team can clean or fix as much or little as you need. If you would like a house cleaning service before your new tenants move in, that’s no problem, Workbusters are here to help and give you complete peace of mind. We can also help to arrange a ‘handyman’ service if you need help to mend and fix things, such as gutters, fences, or add a lick of new paint inside your property. We also offer a professional carpet cleaning service to ensure your carpets and rugs are stain free and ready for their new tenants. Red wine spillages, ink stains, wax drips or mud are usually no problem for the Workbuster team and we will get your floors looking new again. We believe in providing the best quality and most reliable staff to help you clean the inside and outside of your rental property, giving you time to focus on your new tenants. I have just had a lovely conversation with the owner of Redburn Street about several things and she was extremely grateful for the feedback from Clecie. But more importantly, she has also expressed how grateful she is about how meticulous and thorough your girls are and how well they make the bed – she feels that this is an extremely important part of peoples stay at her flat. So, in short, I would also like to express my thanks to you and your team for all your help and had work.